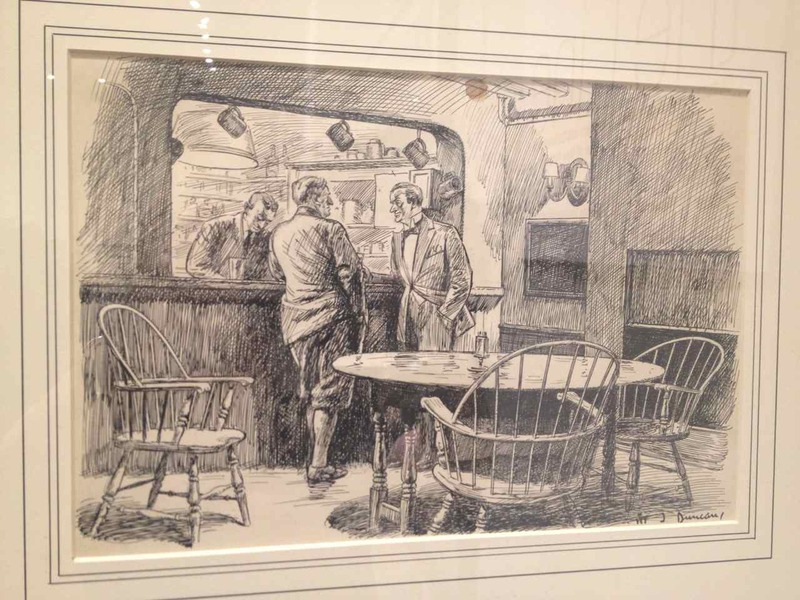 On view through November 7th at the Phyllis Harriman Mason Gallery of the Art Students League (215 West 57th Street • NYC) is an exhibition of work by “Outstanding Illustrators, Designers and Cartoonists” including many members of Salmagundi. Curated by Pamela N. Koob, items include those from the ASL collection as well as others on loan from SCNY. Editor’s note: The decision to photograph these works by SCNY artists was unplanned, with the execution perhaps a bit rushed, however such an extensive body of work warranted the effort to provide a small glimpse to members who would otherwise be unable to see this exhibition. Descriptions follow the works • click on the first thumbnail to begin, then use the right rollover arrow to continue.